I was looking through the files just in case they added a spoiler in the files while everyone was busy with the Halloween content. I myself was to busy working on the Halloween pages on my website to look for spoilers until today. 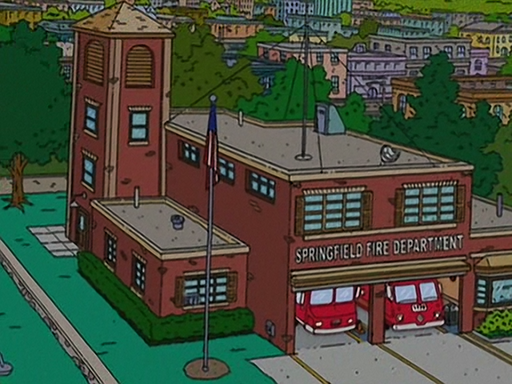 I found the Springfield Firehouse in the language and building animation file. We could be seeing that Firefighter update for our next Level Update. I also found a job named “Teach Kids about Fire Safety” which is most likely the text for the Springfield Firehouse job. The Springfield Firehouse was removed from the language database in the latest update, but I found another hidden file for us to speculate on. Tennis Marge dialog image, we might see a Tennis Marge outfit/skin. Found even more Dolph Starbeam is in the files now. Any word of a Thanksgiving update at all? just random thoughts, but possibly Annie Ziff for the quest with his mansion and tennis Marge as a task there? dolph as the donut buy with noiseland and fire station delayed til a later level? Tennis Marge makes me think a Country club will be added at some point. With tennis courts and golf courses that can be added. Thanks spAnser, informative as always! I’m hoping for Jimbo + Dolph + Noiseland along with Crazy Cat Lady. We’ll see who comes with the fire department.. This could be a great opportunity to include Snowball and the Crazy Cat Lady, her tasks could be throwing cats into trees and the fire department take them down. This is my first comment, you have a great blog, greetings from Mexico! That makes sense. October is Fire Safety Month in the U.S. Kinda hoping for Jimbo and the Noiseland Arcade to come soon.